Employee Portal is a web-based solution that gives employees real-time access to SAP Business One from any device (iPhone, iPad, Android, and more). Complete the form to test drive Employee Portal. Get a hands-on look at what your employees would see. Use the login information provided on the screen and get instant access to experience the power of Employee Portal first-hand. Add new leads, place orders, and create quotes with the click of a button. View accounting, warehousing, and customer information and easily access detailed sales reports within the test version of Employee Portal. Extend the value of SAP Business One beyond your office walls. 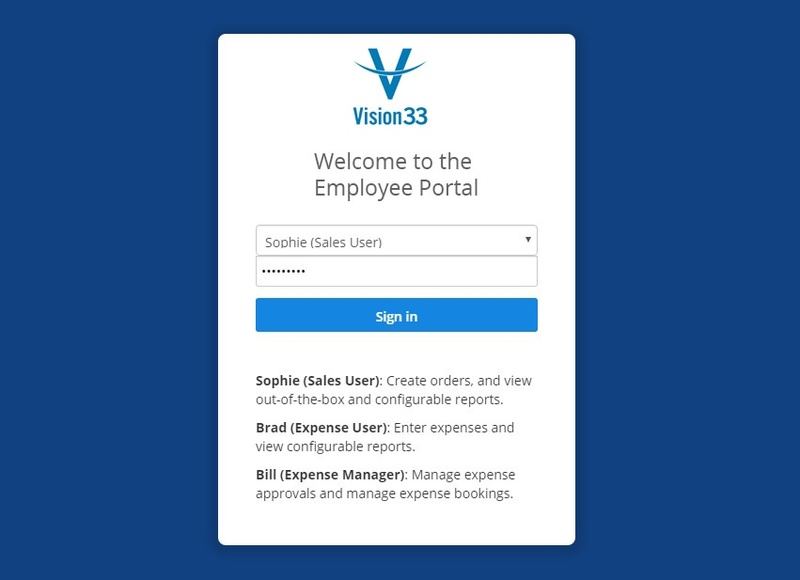 Contact us if you have any additional questions about Employee Portal or if you would like a representative from Vision33 to walk through the test drive with you.